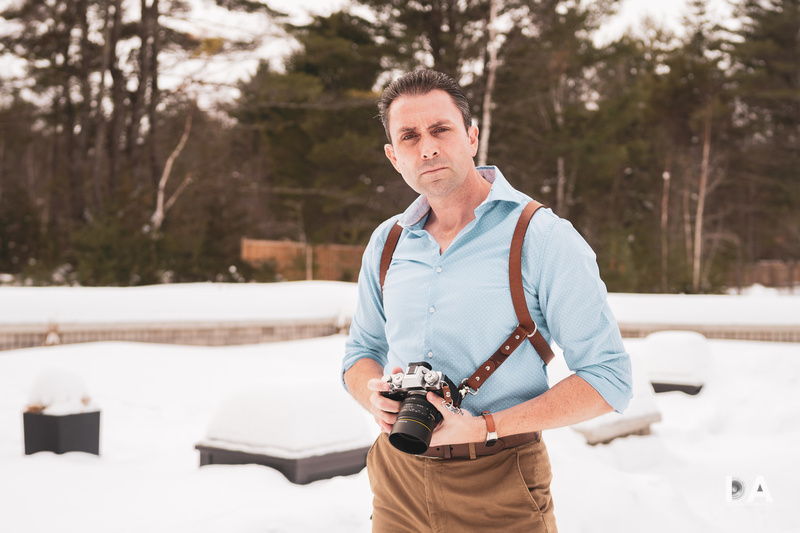 When I show up to do a portrait shoot, a wedding, or shoot certain events, I’m often strapping on my Cotton Carrier harness system. 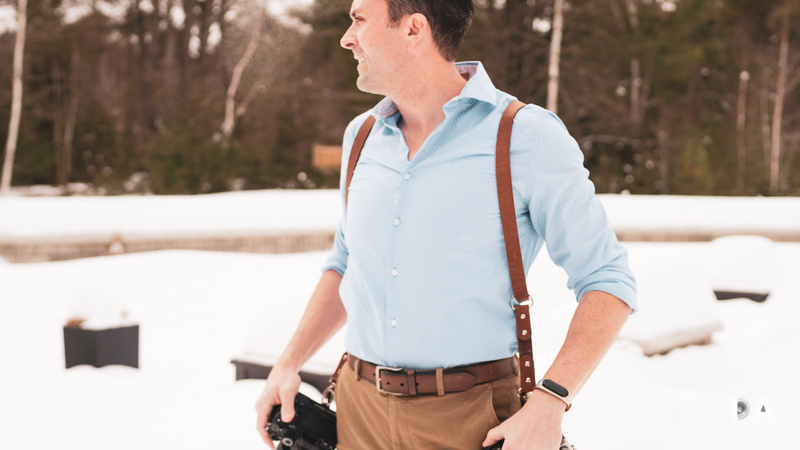 It’s very functional, helping to distribute the weight across my body, gives me quick access to two cameras, and helps reduce fatigue for a long shooting day. 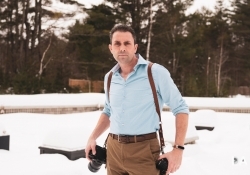 It also looks like I’m wearing a flak jacket. 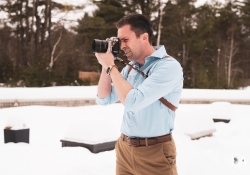 While harnesses are practical, efficient ways to carry gear (particularly big telephotos), not everyone wants to look like they’ve joined the SWAT team. 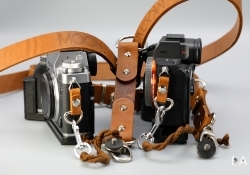 If you are looking for a stylish way to carry a camera or two while retaining quick access to them, look no further than the hand-made leather straps from Moon. I spent some time out in Alberta a few years back with a friend that owns a leather shop (and does leather repair), and it gave me a whole new appreciation for the difference between actual leather and the typical cheap bonded leather we so often see. It made me realize that the reason a lot of my cheap belts were splitting and looked terrible after a year or so was because they were, essentially, a throw-away product with very little actual leather involved. 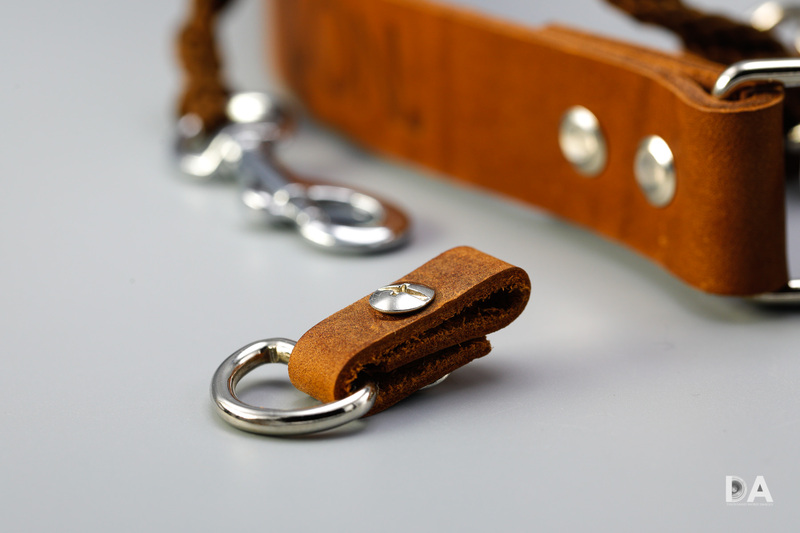 Genuine leather, by contrast, stands a very good chance of lasting most of your lifetime. I started changing the kinds of belts that I buy (as you can see from the photo above), and my good quality leather belts still look great after several years of use. Moon’s ideology is pretty similar. Their website says this, “We make high quality leather camera straps for DSLR and film camera users. All of our camera straps are hand made. 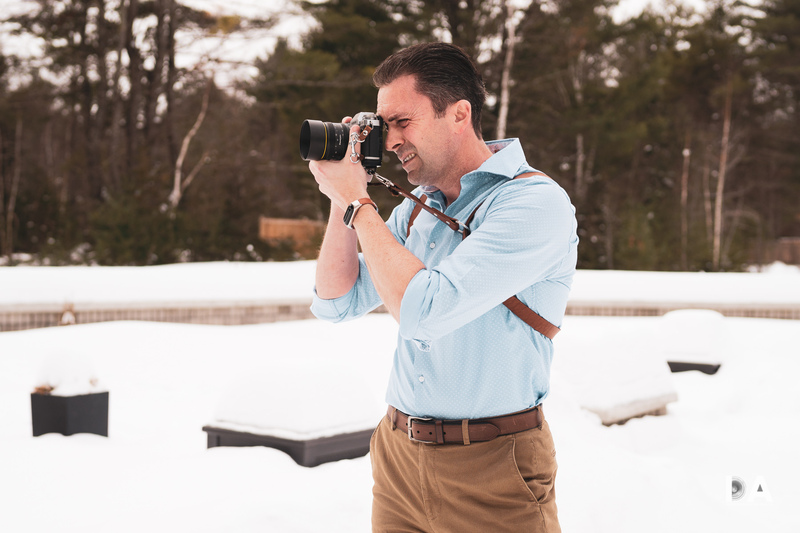 We only use high quality leather to make camera straps that will last a lifetime and look even better over time.” I chose the Vintage Brown Dual Leather strap, and I’m actually excited to watch it age…because while it looks great now, I know the leather will just acquire more patina and personality over time. Moon is a European company based in the small country of Latvia, and a quick look at their website shows that they’ve definitely tapped into the hipster, Instragram culture that would look at home on the pages of a fashion magazine. The materials in my new Moon camera strap look premium with the whole assembly looking like it was designed more in a tack and bridle shop than the typical camera gear factory. That’s intentional, of course. 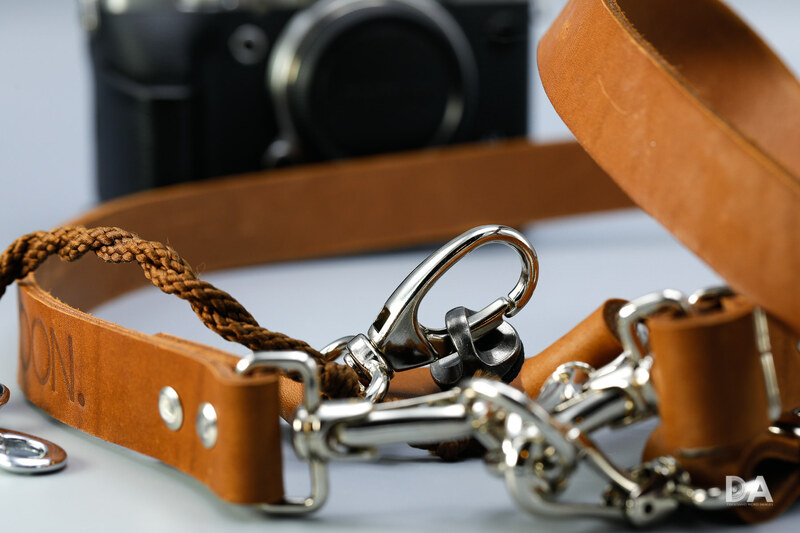 There are three materials that I can see: leather, metal in the buckles and straps, and some braided material that is a part of the “safety strap”. The setup is pretty simple and straightforward. 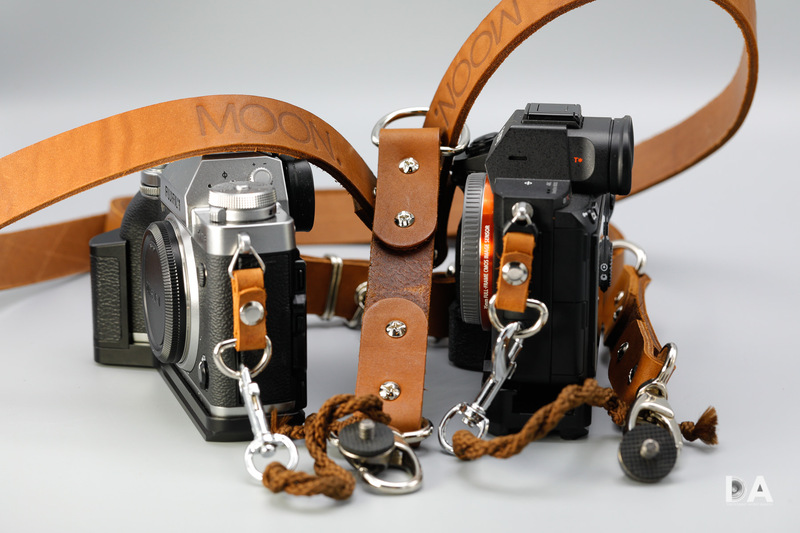 You connect one (or two) of the attachment lugs (“moon candy“) to the camera strap lug on the side of your camera. You can attach two if you want to carry the camera in a traditional fashion, though I prefer to use the secondary lug that screws into the tripod mount of your camera. I don’t like having a strap lug on the right side of the camera as I find it far more likely to interfere with the operation of the camera. It’s easy to quickly screw that connect in or out of the baseplate of your camera (I have grip extenders or brackets on several of my cameras, so I just choose one of the threaded holes underneath). 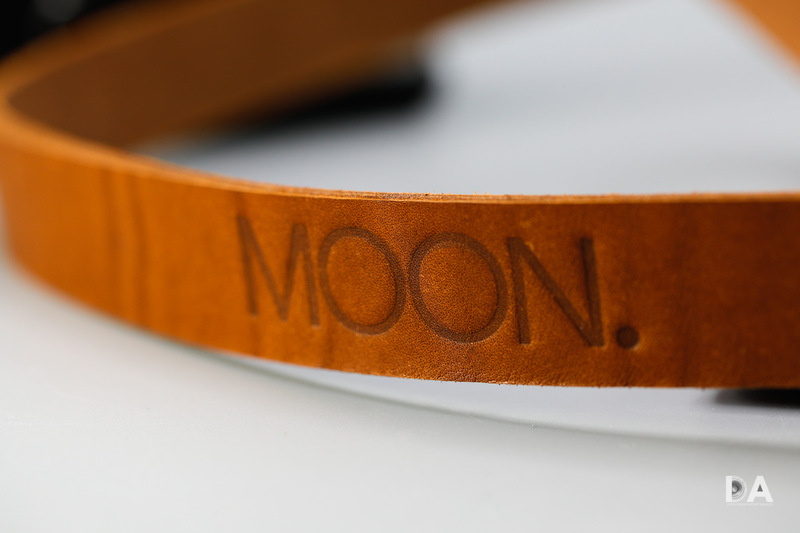 My one criticism of the Moon strap is here, actually. 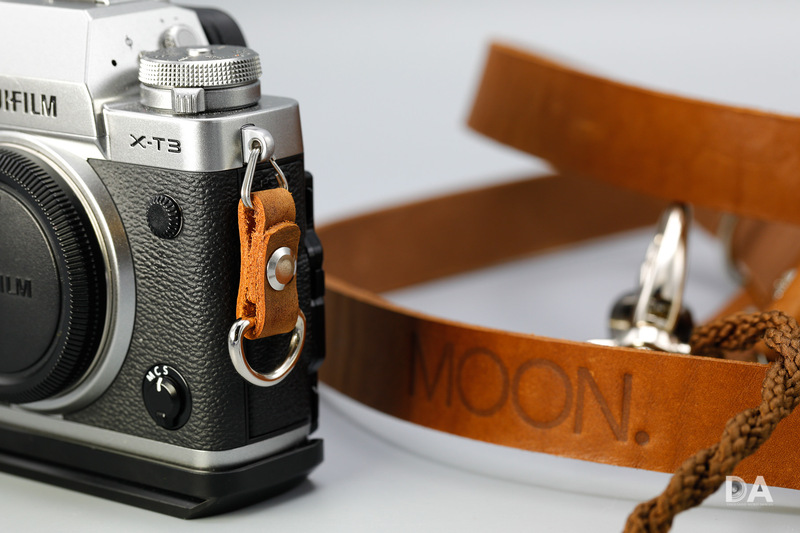 To attach the “moon candy”, you need to use a screwdriver to loosen the threaded pin that holds the folded over leather together, connect it to the strap lug mounted on your camera, and then screw everything back down. It was a tight fit on my Sony cameras, and the process takes a few minutes. Peak Design’s “anchors”, by contrast, can be connected in seconds without tools. If you utilized different carry systems for different purposes this might slow you down enough to be deal breaker. 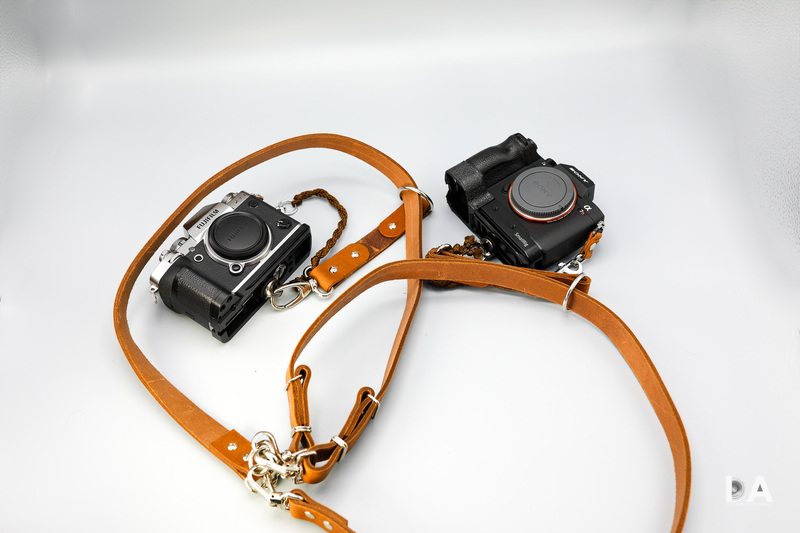 If you want to connect the leather lugs and leave them (which is probably the case for most of you), however, it’s very easy then to connect the “leash” connector to take the camera on or off the strap. Once everything is attached, putting the strap carrier on is a piece of cake. Just slide your arms through the straps and put it on like a set of suspenders. 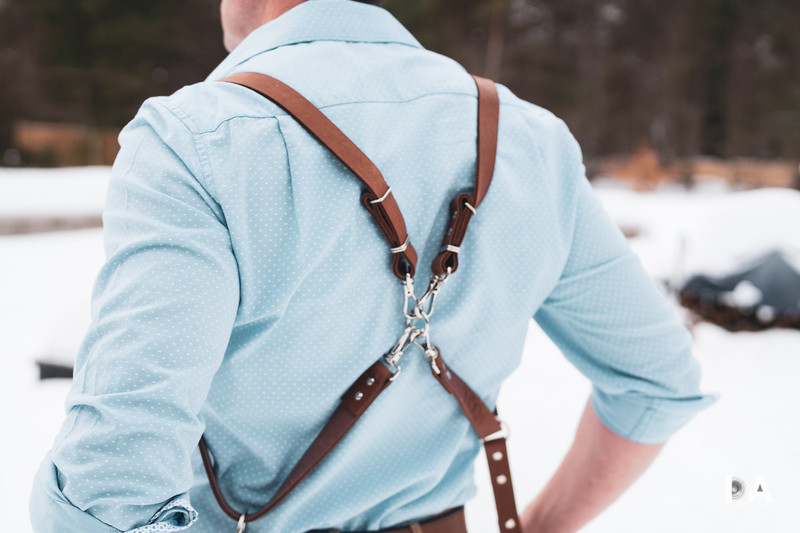 And suspenders is really what it looks like. 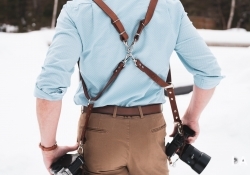 Stylish, leather suspenders…that just happen to have cameras attached to them. The secondary strap that connects to the camera moves smoothly up and down the main strap, allowing you to very quickly and easily pull up the camera for the shot and then let it slide back down out of the way. I also find that the weight distributes surprisingly well. I’ve attached telephotos to the cameras and it still wasn’t bad, though I would still prefer the higher mounting position of a harness for big telephotos so that they don’t dangle so far down that they are in danger of hitting things. For moderately sized camera/lens combination (which is what most people are using! ), the balance is great, though. The closer the two cameras are in weight, the better the balance and weight distribution will be, but I even found that I could take one camera off and use the dual strap with just one camera attached without issue. The weight felt less balanced than with two cameras, obviously, but I consider this to a valid approach. 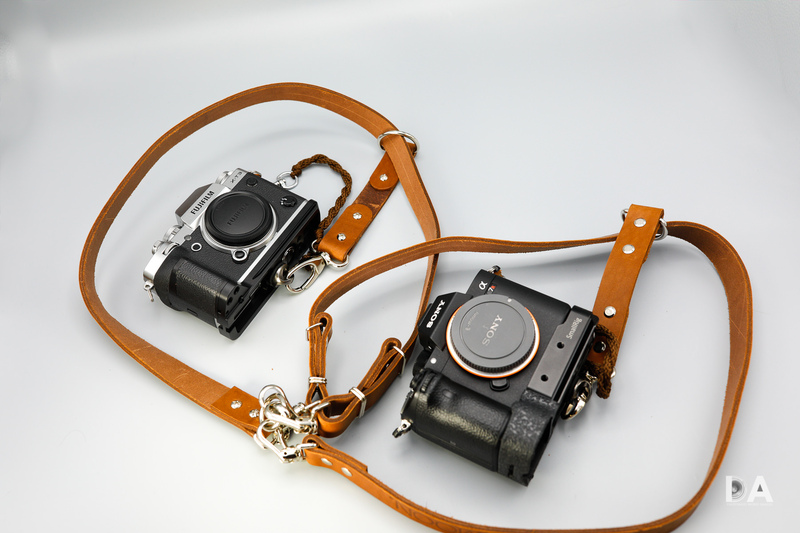 You also have the option of disconnecting the straps from the metal joining ring in the back and just use one strap individually (these are actually two camera straps with the metal joining ring that you clip into to convert them into a harness). You can make the conversion in less than a minute once you learn the right positioning of the metal bits in the clips and latches. 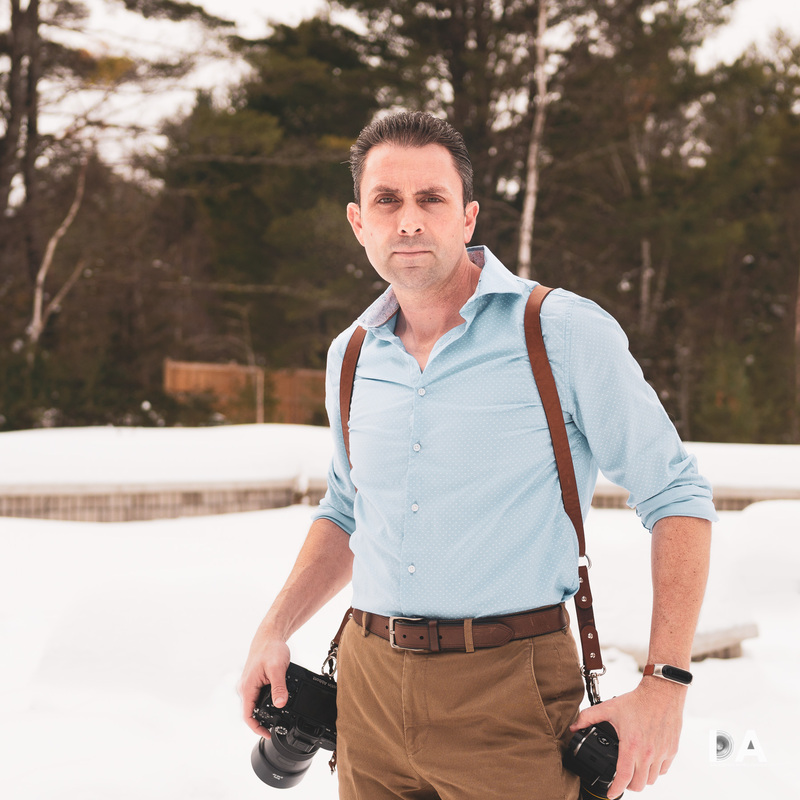 The cameras hang down in a position where they are really out of your way until you need them, and while you need to be conscious that they are there when crouching, for example, I was able to successfully do so without hitting the camera off the ground. 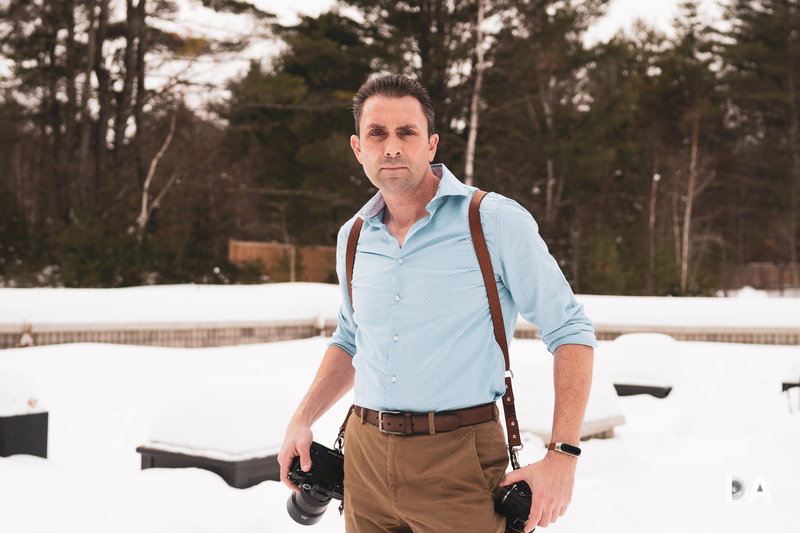 When shooting with one camera, the other stays down out of the way without straps interfering with each other (which happens to me sometimes when I go out with two cameras and two straps). There is extra material there that you can adjust for your body type, though it looks to me like there is a limit to how far you can take that. 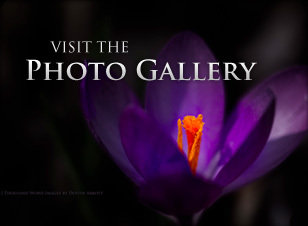 Most of the models in their advertising shots look pretty slim. 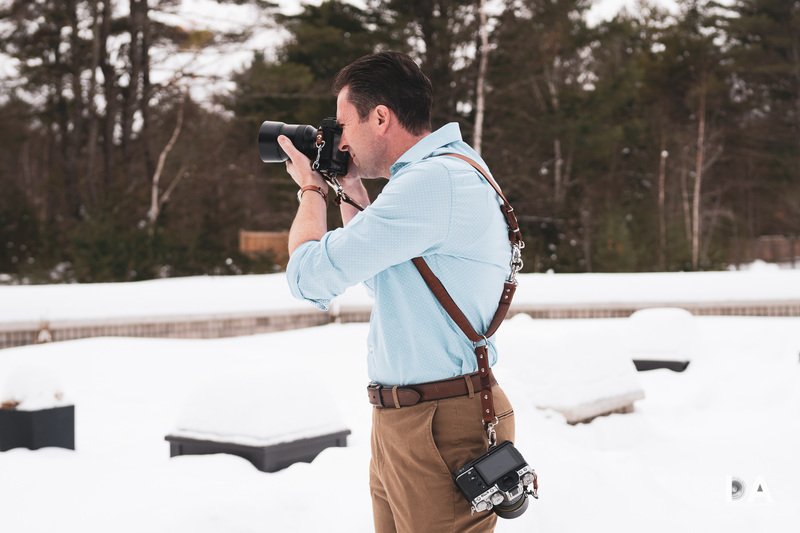 I find that using the single strap in a sling position is fairly close fitting, and I’m quite slim, though there is plenty of strap to carry it just over the shoulder (a carry position I’m not really comfortable with). 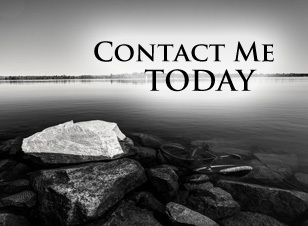 If you have a larger body type you might want to shoot them an email and ask just about the sizing to make sure it will be comfortable for you. 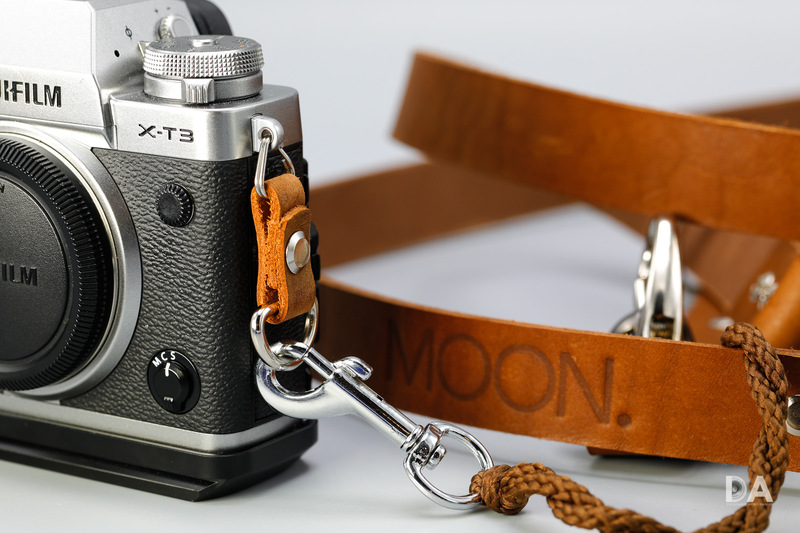 All in all, the Moon Dual Camera strap is a pretty sweet way to carry a few cameras comfortably while having instant access to them. 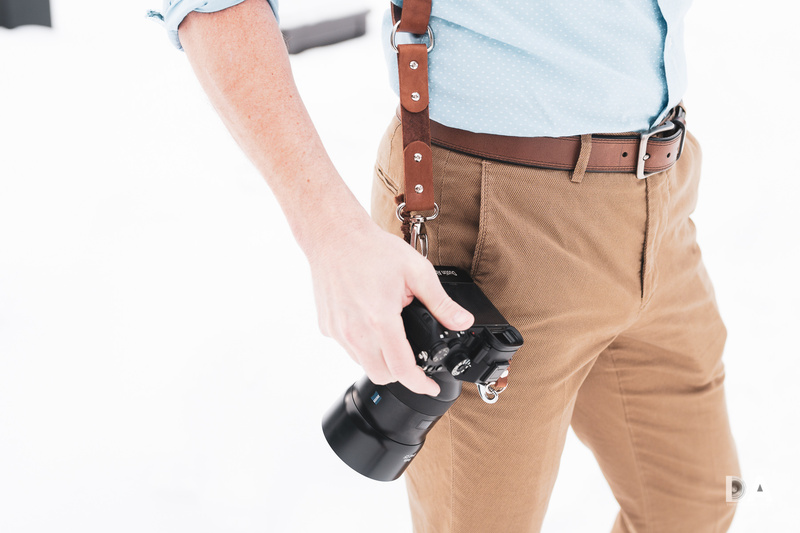 It’s stylish, functional, well made, and, while not cheap, it’s designed to last a lot longer than the cameras you’ll attach to it. 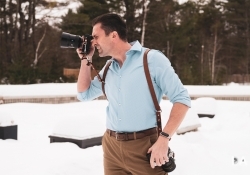 It’s pretty much perfect for those of you who shoot weddings, portraits, or events with two bodies (to avoid switching lenses) The strap I reviewed comes in at a pretty expensive 185 Euros, but that does include taxes and free shipping to anywhere in the world. 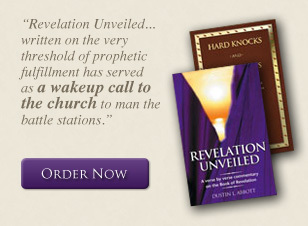 You can use the code DUSTINABBOTT to get a whopping 20% off, which helps ease the sting. Style doesn’t come cheap, but at least you are getting a handmade product that is anything but throwaway…and perhaps for you, that makes it worth the money. 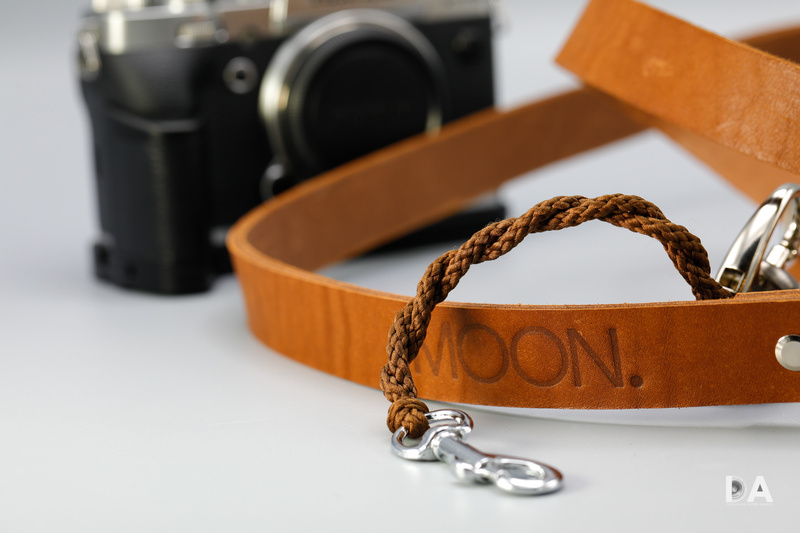 Purchase the Moon Strap (with free shipping around the world) here: | Use code DUSTINABBOTT for 20% off!